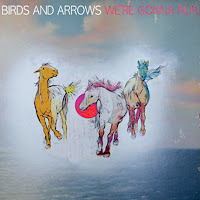 Music Sourced: Review: North Carolina Folk Band "Birds and Arrows"
Review: North Carolina Folk Band "Birds and Arrows"
Congratulations go out to bma1 as the winner of our completely un-announced and un-publicized Music Sourced contest! This person (potentially a he or she) was keen enough to read all the way through our Disqus announcement to discover that we would cover a band of choice by any reader that used the new Disqus system. So here we go! The band of choice was a North Carolina trio that calls themselves "Birds and Arrows". 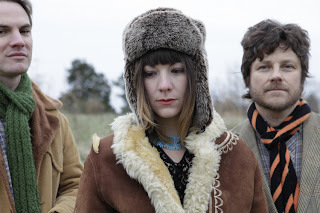 The group originally started off as the husband and wife duo of Pete and Andrea Connolly; but just a few short years later they added their third member Josh Starmer. The group's uniquely blended music is delivered as a predominantly "unplugged" folk rock sound. Andrea provides the bulk of the lead vocals, but you will also hear Pete accenting Andrea on many of the groups tracks with his own vocals. The addition of Starmer to the group not only gave them more depth in numbers, but also gave Birds and Arrows a deeper, more enriched sound with the addition of his cello play. After Starmer joined the band, the group has released two full length albums including the most recently released "We're Gonna Run" (May 10, 2011). "The romance between Andrea and Pete’s voices is distinctly captivating and intertwines with Josh’s beautiful cello euphony. Birds and Arrows accomplish an elegant, warm sound that is truly their own. Their compelling and road tested live show appeals to a surprisingly wide range of audiences; they are the cherished rock band for folk lovers and the favorite folk group for rock fans"
I had never personally heard of this group so I was excited to take a listen. I'm a fan of new music and also a fan of something a little different. This is the first time I have come across a guitar, drum, cello, trio and I have enjoyed their brand of folk music. Thanks to bma1 for the suggestion and being a reader of our site! Of course this wouldn't be complete without the free music portion of this post. First and foremost, you can stream their music by using their Reverb Nation widget directly below. You can also click on the 307 Knox Records link for a free download of two of their most recent songs "Time Alone" and "Arrows in the Air". The group is also featured on a locally funded cover-song compilation of North Carolina music artists. The album is titled "Musical Chairs" and it features Birds and Arrows covering a song by another local NC band titled "Sugarlicious".